Some of my fondest, scariest memories of my childhood was that short period of being a girl scout - around 2nd and 3rd grade. 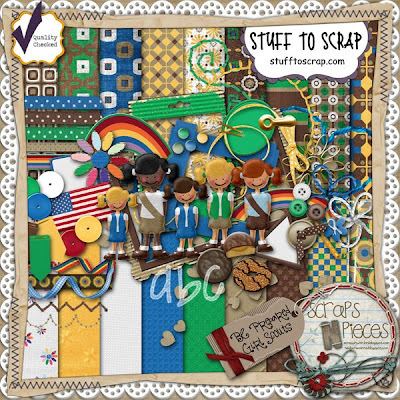 I was so excited when Lori & Heidi (aka Scraps 'N Pieces) created their latest kit, Be Prepared - Girl Scouts. 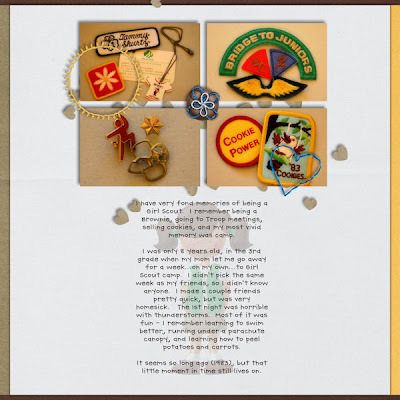 I went on a mission to find my patches and pictures. Found the patches...can't find pictures of me in my uniform anywhere. Here is the kit - it will be $2.50 for one week. 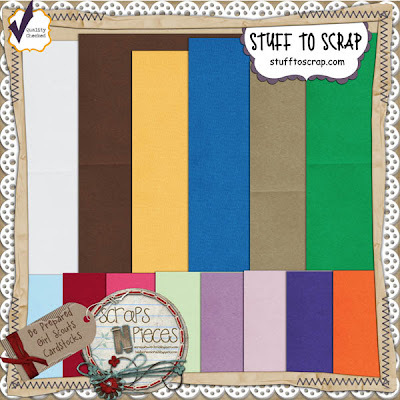 Cardstocks are only $1 if purchased with the kit using the coupon code cookies.